Early one morning in the Serengeti …. 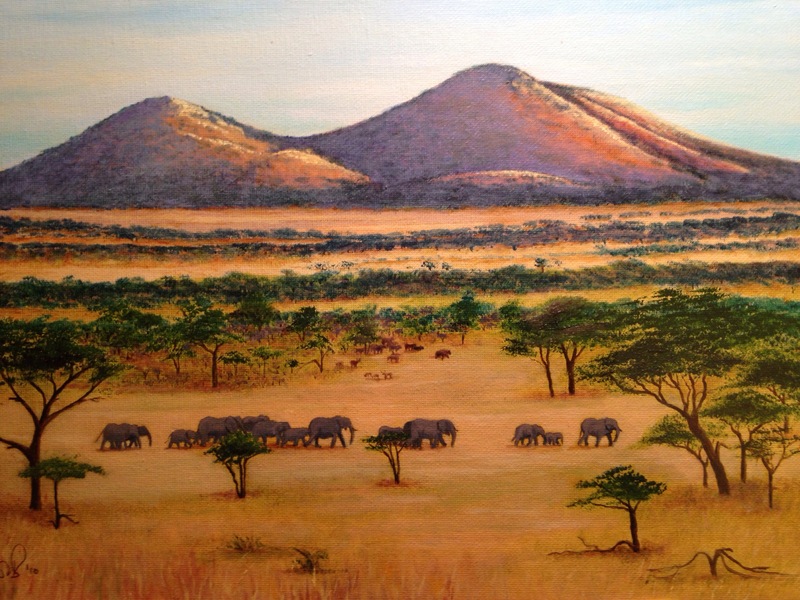 We set out early one morning in the Serengeti when suddenly I saw this big herd of Elephants below us. I shouted for our driver to stop and managed to get a photograph with a long lens. They were at a distance and I steadied the camera on the jeep roof and begged the other occupants to sit still! 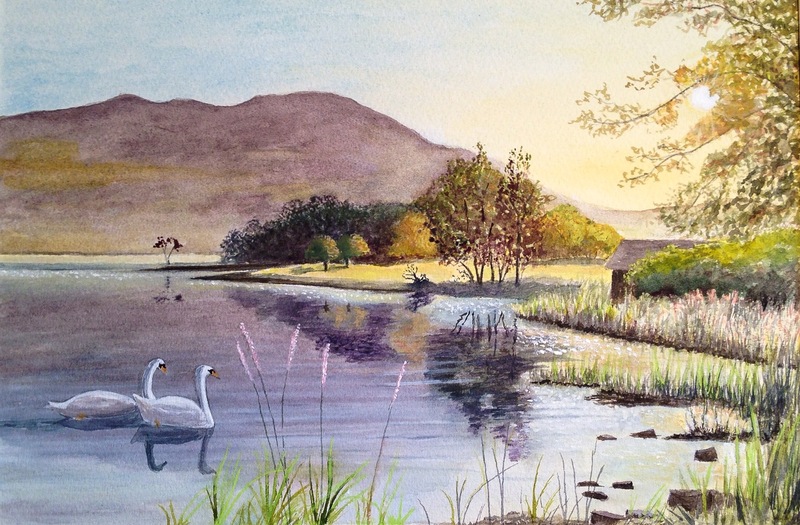 This is an oil painting of that scene. 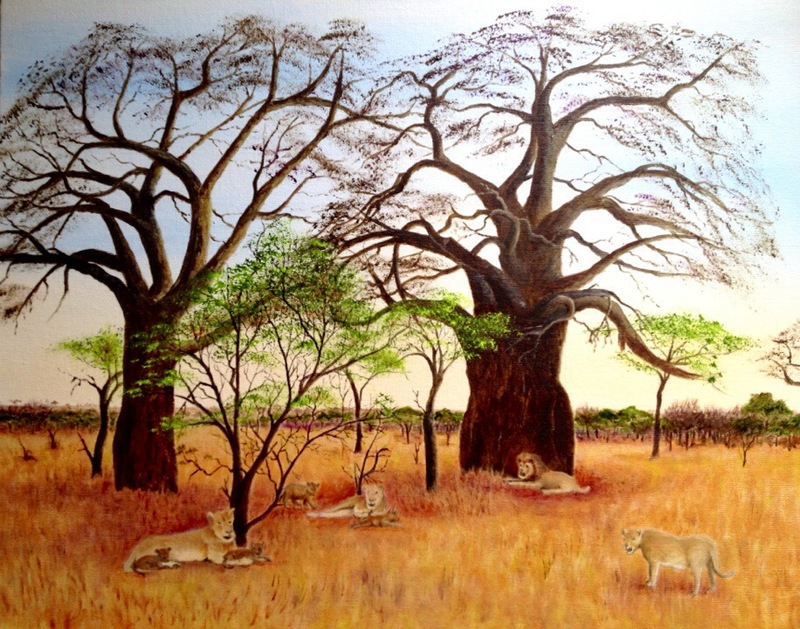 My oil painting of a pride of lions at Tarangire National Park, Tanzania. 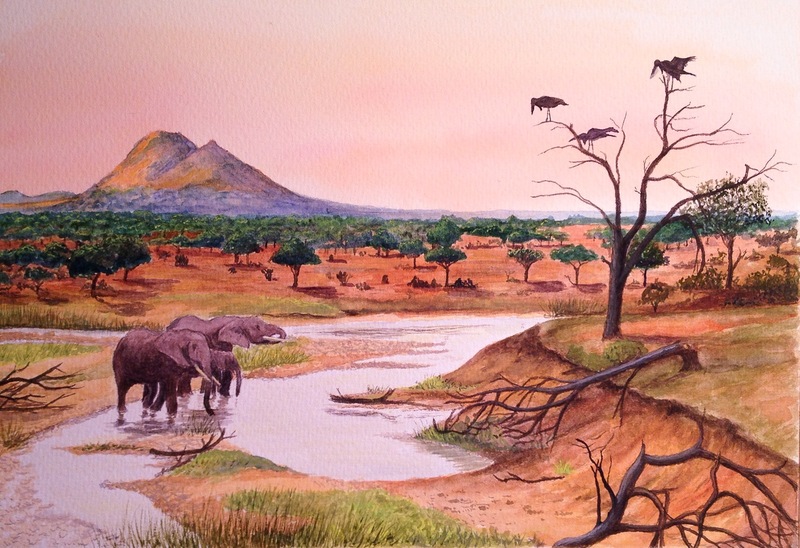 The background including the two baobab trees is drawn from a photograph. The lions and cubs inserted from various photographs I’ve taken over the years. 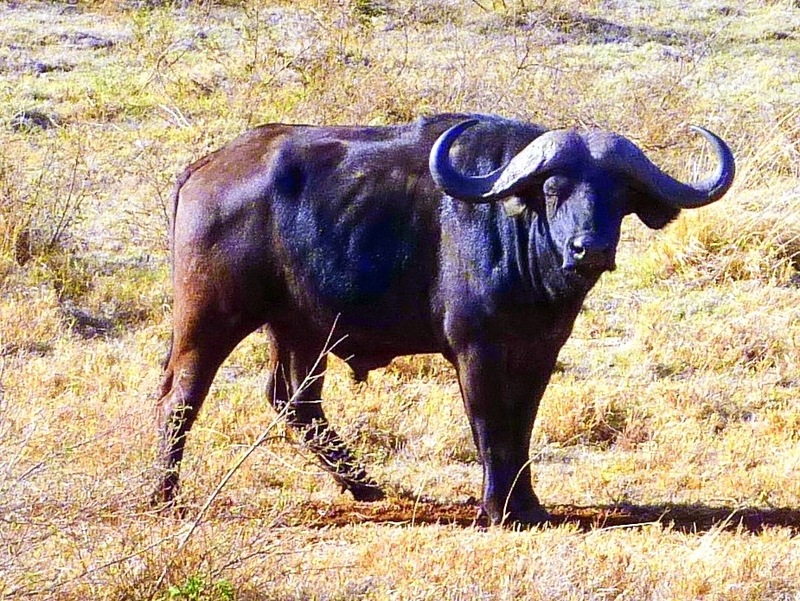 I photographed this African Buffalo Bull in the Serengeti, Tanzania. He gave me that ‘don’t mess with me’ look, leading me not to hang around too long, afterwards! 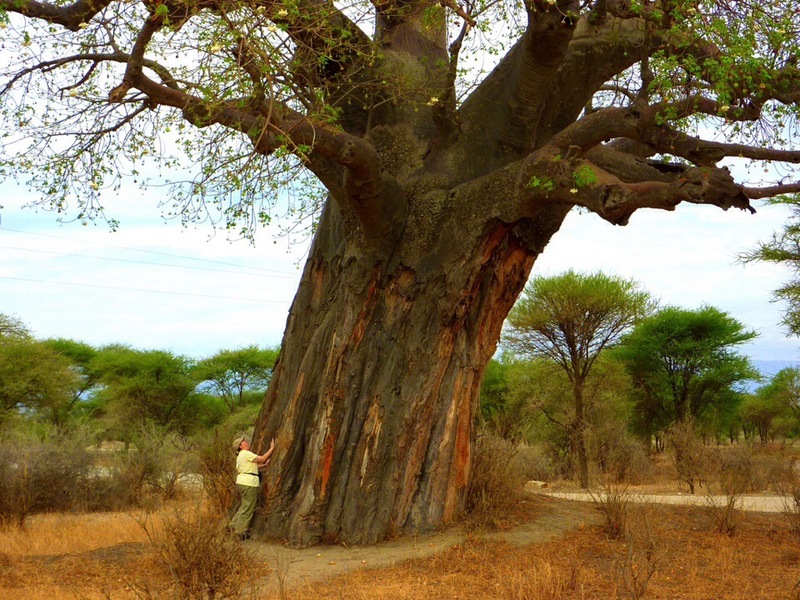 Hugging a Baobab Tree means an embrace with often over a thousand years of history. These strange ‘upside down trees’, as they are often called because their branch structure looks more like that of tree roots, are particularly a feature of parts of Tanzania. I photographed this very old Baobab in Tarangire National Park, Tanzania. It bears the scars of generations of elephant tusks, in its bark, which is so thick as to be untroubled by the attentions of generations of elephants, unlike other indigenous trees. 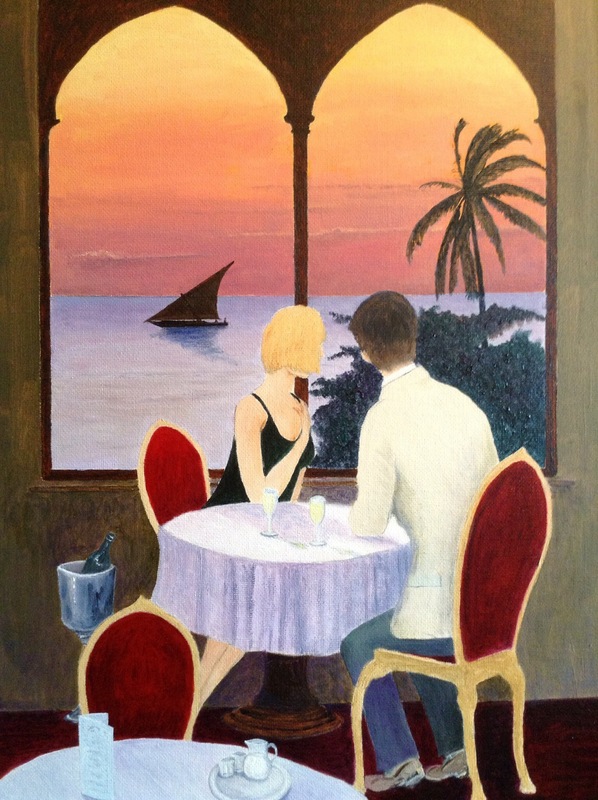 An imaginary date, in an imaginary cafe at Stone Town, Zanzibar. 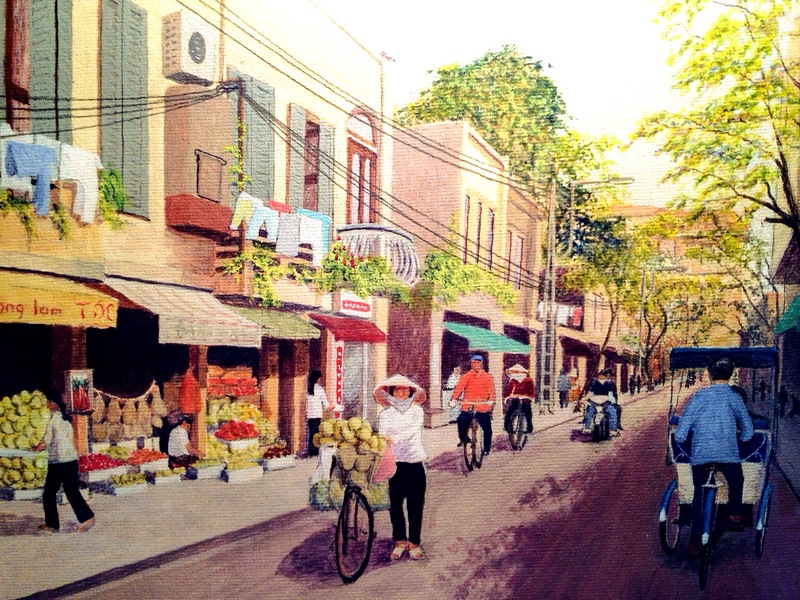 Painted in oils. 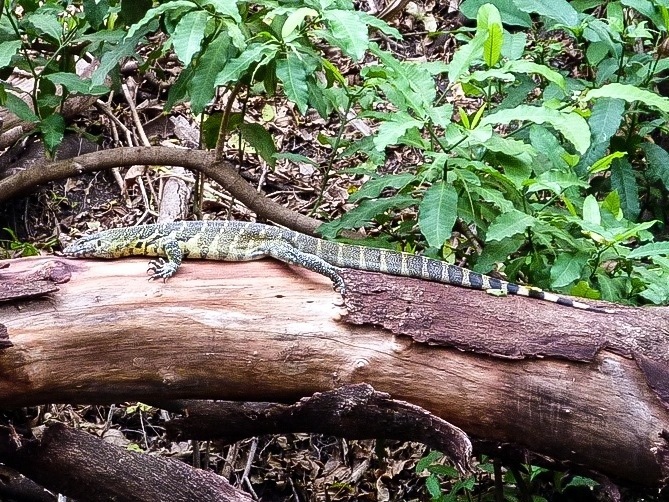 This Monitor Lizard, photographed at Lake Maynara, Tazania, was about 4 feet long. Never seen one before, or since.